Guggi's first passion since childhood has been painting. He was a founding member of the cult band Virgin Prunes, notorious for their performative spectaculars on the European underground, where his main contribution was a visual one. He continued to paint throughout his years in the band and parted company with them in 1984 to dedicate himself solely to painting, and later sculpture, which he first exhibited in the Shafrazi Gallery in New York in 2001. Since the early 1990s, Guggi’s work has continued to explore the depiction of common everyday objects. With a focus on repetition and abstraction, Guggi’s signature motifs of bowls and other vessels are transformed and freed of their context often articulated with a deceptive simplicity that heightens their stillness and meditative presence. In a new series of paintings on paper, Guggi depicts motifs of bowls and jugs, drawn in jagged pencil lines. 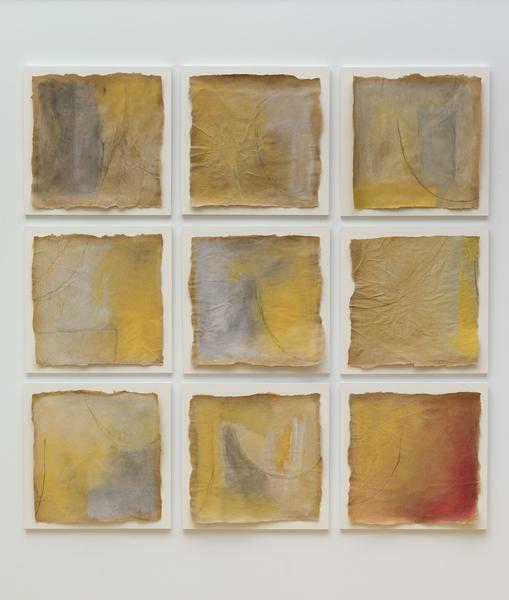 Each vessel appears to crinkle or contort, presented on distressed brown paper with torn edges and surface creases. Repetition is a key motif, with many of the paintings divided into two distinct spheres of paint. Broken also includes a series of sculptures: one bronze piece, and seven made from fibreglass, resin and oil paint. 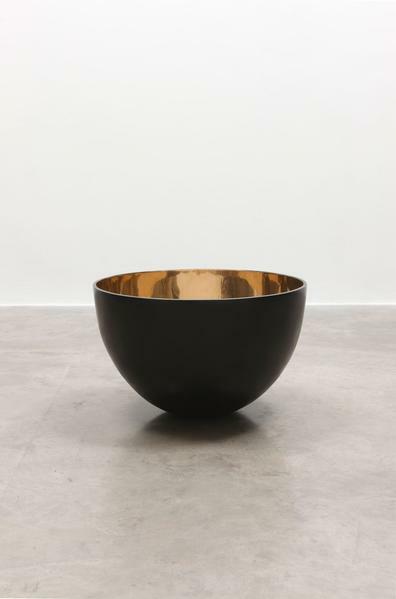 The simple, curvilinear forms of these bowl-like vessels bestow them an almost meditative quality – in the bronze, for instance, the matte black exterior withholds light while its highly polished interior reflects it. As well as giving three-dimensional expression to Guggi’s nuanced explorations of form and space, these works create a link to the landscape of Château La Coste, home to Guggi’s monumental bronze sculpture Calix Meus Inebrians since 2009. For further information and high-res images, please contact Rosa Abbott, rosa@kerlin.ie.